I took part as a speaker in the first episode of the Zannen, Canada podcast and there was plenty of talk about Sailor Moon. I reminisced about how I got into Sailor Moon and my experiences as an early fan of the franchise before the Internet age. There’s also discussion of missed opportunities for anime in Canada and hopes for the future. Some of you may remember Jesse Betteridge’s previous version of Zannen, Canada which was a Canadian focused anime news site. The podcast is like the next generation of that, with lots of discussions about anime and future interviews with industry figures. She podcast has a primarily Canadian focus, but should be of interest even if you’re outside of Canada and would like to hear more about anime in North America. 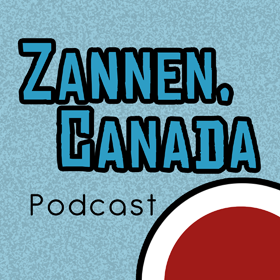 If you’d like to listen to the first episode of the Zannen, Canada podcast, you can check it out here. 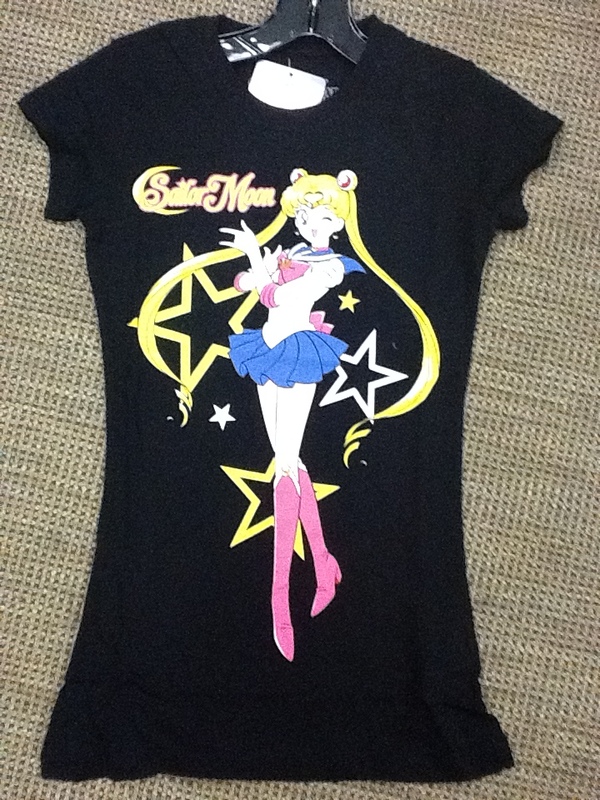 Viz held its Sailor Moon panel at the 2014 Anime Expo. 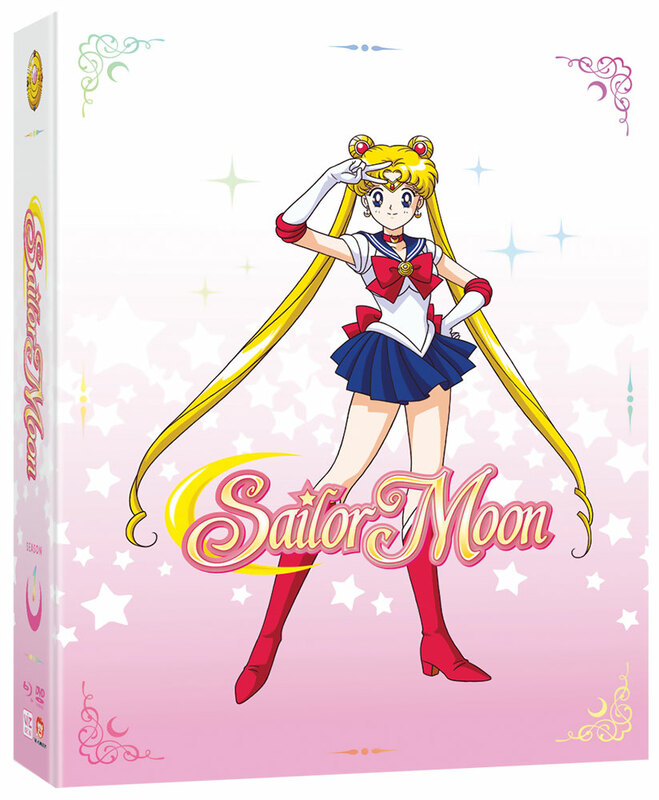 Announced were the dub cast for the Viz Re-dub of Sailor Moon (The Classic Anime) as well as the release of a new box set, along with date. 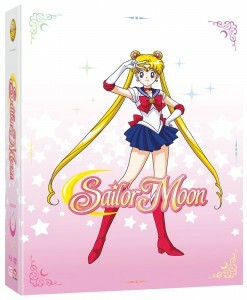 Sailor Moon Season 1, Part 1 box set will be released on DVD and Blu-Ray on November 11, 2014 and has been seen to run from $56-80 for Blu-Ray with about $30-50 for the standard DVD release. Online Retailer Right-Stuf had a pre-order promotion for a limited edition coin but that has since sold out. The Limited Edition Blu-Ray/DVD set comes with episodes 1-23 on 3 Blu-Ray and 3 DVD plus an 88-page, full-color premium booklet, all in a nice chipboard art box that will have room for Season 1, part 2. Viz has stated that all 5 seasons will be released in these boxes. 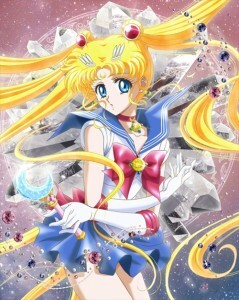 Now what about Sailor Moon Crystal? 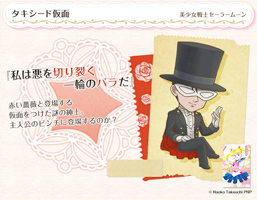 As of now, according to Japanese Entertainment Website Natalie.Mu(Site is in Japanese), the season will be released by King Records in 13 two-episode volumes with a limited edition release of Volume 1 (Episodes 1-2) in Japan on October 15, 2014 with a wide Blu-Ray/DVD Release on November 12, 2014 (The Day after Sailor Moon Season 1, Part 1 is released in the US… Actually, the same day due to time difference). 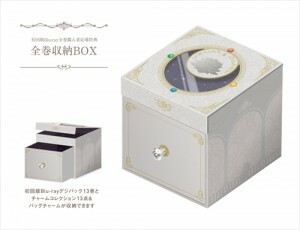 The limited edition Blu-Ray set will actually be housed in a large designer box that doubles as a music box that will play the theme for Crystal “Moon Pride” (Though the box is part of a Japanese Promotion that comes from buying the individual DVDs) and the DVDs come with special booklets, with Vol. 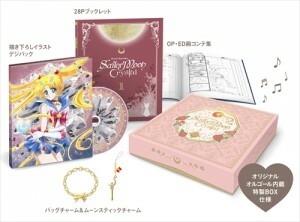 1 coming with a larger bag chain charm and and all volumes including smaller charms, which may be attached to the aforementioned chain (Information found on SailorMoonCollectibles.com) and it seems that the Prices are going from 7020-8100 Yen, depending on the title and can be pre-ordered on the CDJapan website (The rest of the titles can be found here as well). The prices for the normal Blu-Ray are going for 4860 Yen and the Regular DVD volumes are priced at 3780 Yen and all of these can be found on the CDJapan website as well. 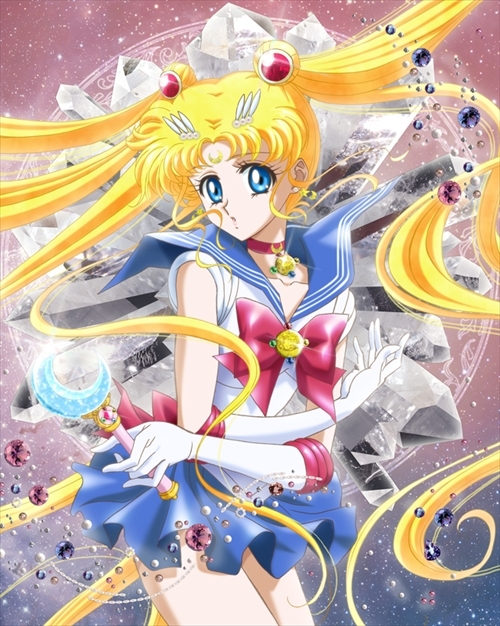 There is currently no word of a US set release for Sailor Moon Crystal as of yet but information on them will be posted for both Sailor Moon Classic and Sailor Moon Crystal as we get more details. As stated above, it will house all of the boxset disc cases and double as a music box that plays the Series theme “Moon Pride”. HAPPY SAILOR MOON AND CODENAME SAILOR V MANGA RELEASE DAY! 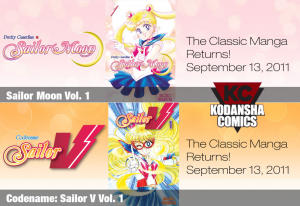 This day is finally upon us – Moonies, do your part to support Sailor Moon and Sailor V today by going out and purchasing these manga from your store of choice! We would like to take this time to thank some very important people. 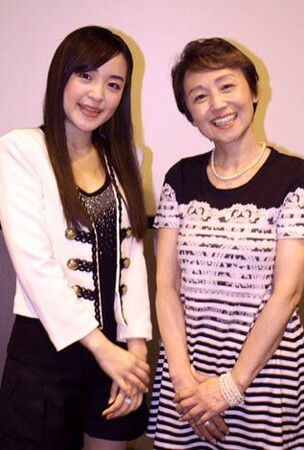 First, to Daniel Mani, Tomoko Suga, and President Yoshio Irie of Kodansha America – thank you for reading our Operation Moonrise Manga report in February of 2010. 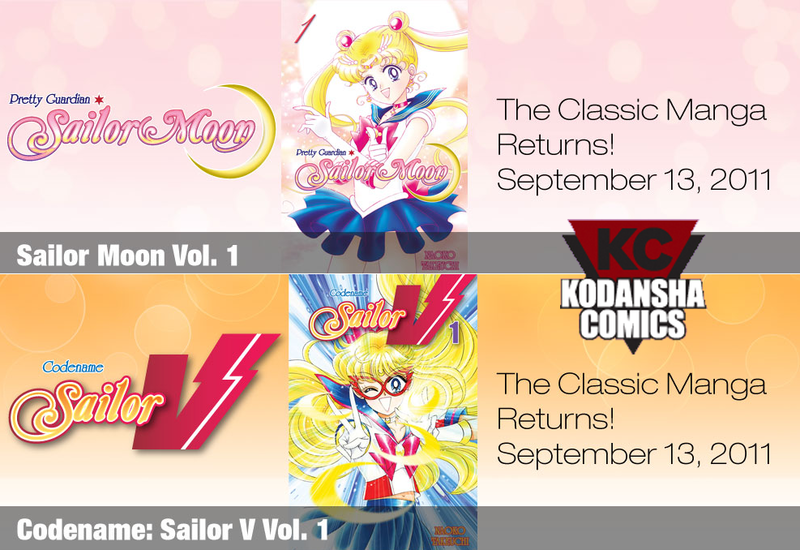 We were absolutely ecstatic with the announcement in March and we could not have been prouder for the renewal editions of both Sailor Moon and Codename Sailor V finally being released in North America. To Dallas Middaugh and the team at Random House, thank you for a job well done in ensuring that this release went as smoothly as possible. And last (but certainly not least), thanks to Naoko Takeuchi for allowing the manga to return to North America! Thanks to all our readers who participated in Operation Moonrise Phase 3, as well as our letter writing campaign to Kodansha – your efforts were paramount to bringing Sailor Moon fans everywhere the joy they are going to experience from today until the end of the manga’s run. We can’t keep up with every party that is being held in celebration of this occasion, so we recommend our fans check out our Facebook page. We have opened up a discussion topic for fans to share of release parties in their area. If you know of one that has not been posted, please feel free to post it there! 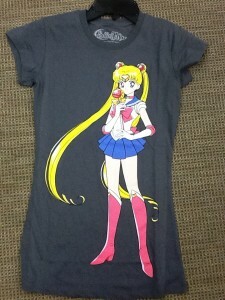 Go forth and “Sailor-brate”, Moonies!